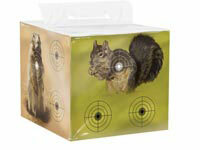 Crosman Varmint Targets, 20-Pack. Animal. 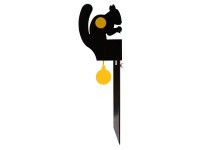 Train your hunting skills on paper first! 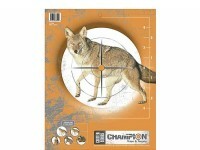 Shooting paper targets is fun, but now you can add a new dimension to your targeting skills! 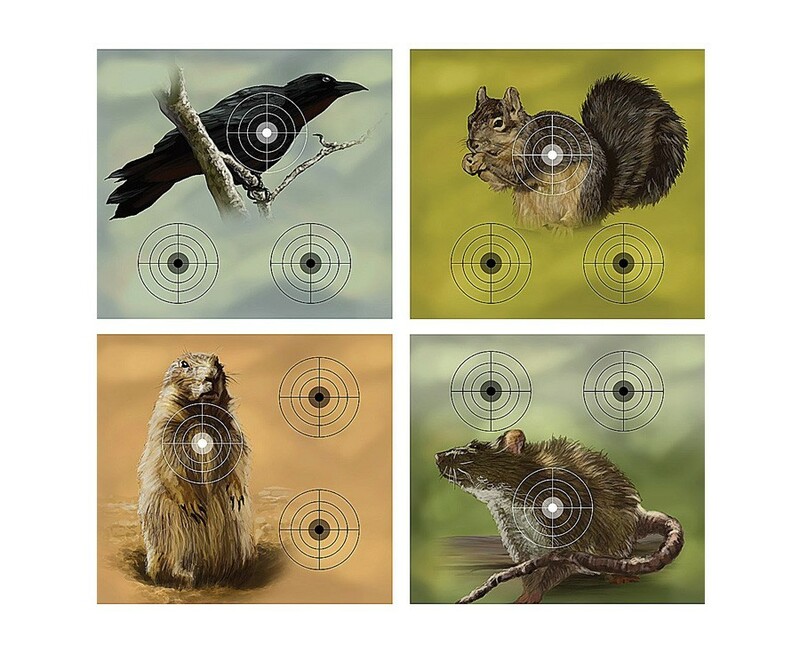 Featuring common small/medium pests, this target pack is ideal for hunters testing their skills or plinkers looking for a more interesting target. 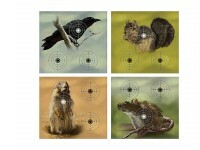 This pack included 20 target sheets with images of crows, squirrels, prairie dogs and, of course, the rat! 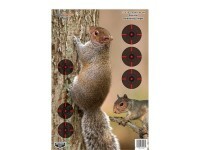 Each target features 3 bullseyes per sheet, including one placed on the humane kill zone of each animal. Things I liked: The target makes for entertaining recreational shooting. Things I liked: Good weight of paper. Clear target and just fun. Nice to have a different target to shoot rather than just bulls eyes or cans. What others should know: Shoot safely! Things I liked: Great quality of a paper target. 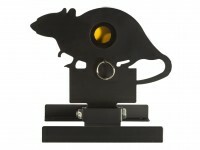 Images are close to the right size for a varmint at that range. What others should know: Buy them.